The State Board of Elections and Ethics Enforcement will meet this afternoon at 2:30 via teleconference, and one of their first orders of business will be the appointment of all 100 county boards of elections. If they adhere to traditional practice, they will pick the top two nominees from each party. In Watauga, that will mean Jane Anne Hodges and Richard Rapfogel for the Democrats, Eric F. Eller and Nancy Owen for the Republicans. Nancy Owen we know already from her previous service on the board with Bill Aceto. Eric Eller is a criminal defense attorney in Boone. 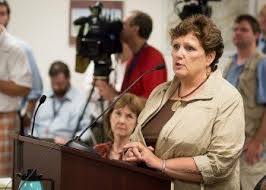 Jane Anne Hodges was the elections director in Watauga for decades until the Republicans made her job unbearable after they took control in 2013 with Luke Four Eggers and Bill Aceto. Richard Rapfogel is a professional photographer and woodworker. The local board will be holding its first official meeting later this week, and according to the statute that the Republican General Assembly passed to reorganize all the state's board of elections, the first chair should be a Democrat, until July.